I created a custom file extension and a python script that enabled me to view the content of this file. What I want is instead to be able to double click on the file and run the script giving it the filename I clicked on as argument. 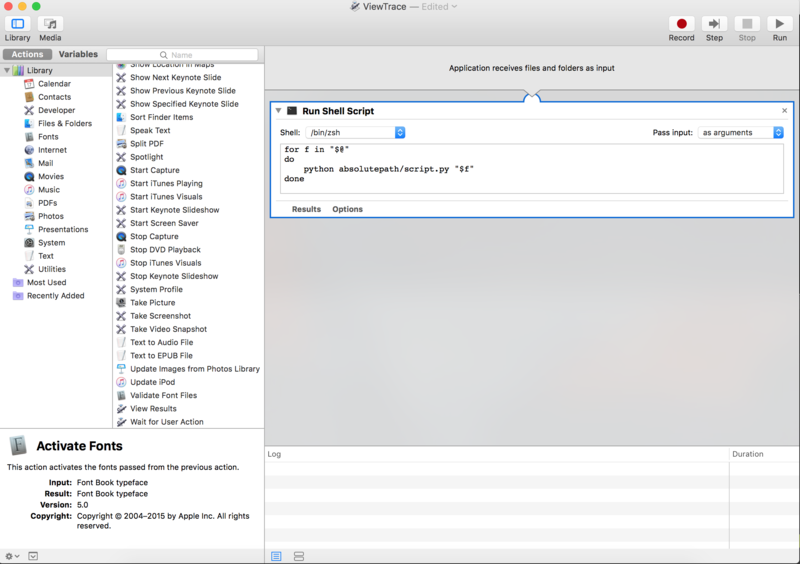 After opening Automator select Application as document type. Write the command needed to open the file inside the for loop. Save and quit. Lastly, go on a file with the extension you want to be opened with the script, right click on it and select Get Info. Where is written “Open with” select Others and put the path to the Automator script you just saved. For the setting to be applied to all the files with this extension click on the “Change all” button.